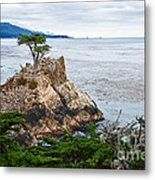 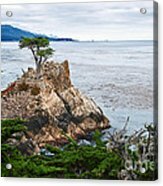 The famous Lone Cypress tree at Pebble Beach in Monterey, California. As one of California�s most enduring landmarks, The Lone Cypress has prevailed on its rocky perch for over 250 years. 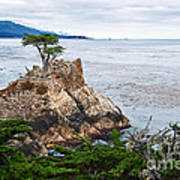 Located on the 17-mile drive, this icon has inspired many and is revered as the eternal symbol of Pebble Beach Company. 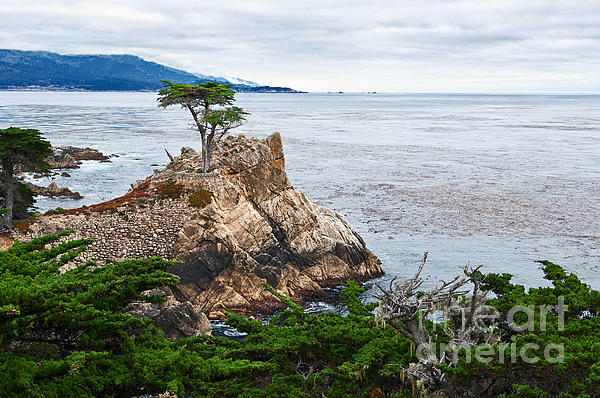 Cupressus macrocarpa, commonly known as Monterey Cypress is a species of cypress that is endemic to the Central Coast of California.